A weekend in Royan means enjoying an atmosphere unique on the Côte de Beauté, among belle-époque houses and 1950s villas, colourful trellises and listed monuments. The seaside resort seduces lovers of architecture and water sports fanatics in equal measure. The Central Market seems the perfect place to start the day. A true Royannais icon and meetingpoint, this unusual structure, designed by architects Louis Simon and André Morisseau, is worth an extended visit thanks to both the starry vault inside and its external arcades, in addition to its gourmet products. We wander with curiosity through the trendy Pontaillac district, where we find a selection of vintage furniture shops, before heading to the beach of the same name that nestles between fishing huts, rocky ledges and 20th-century buildings. 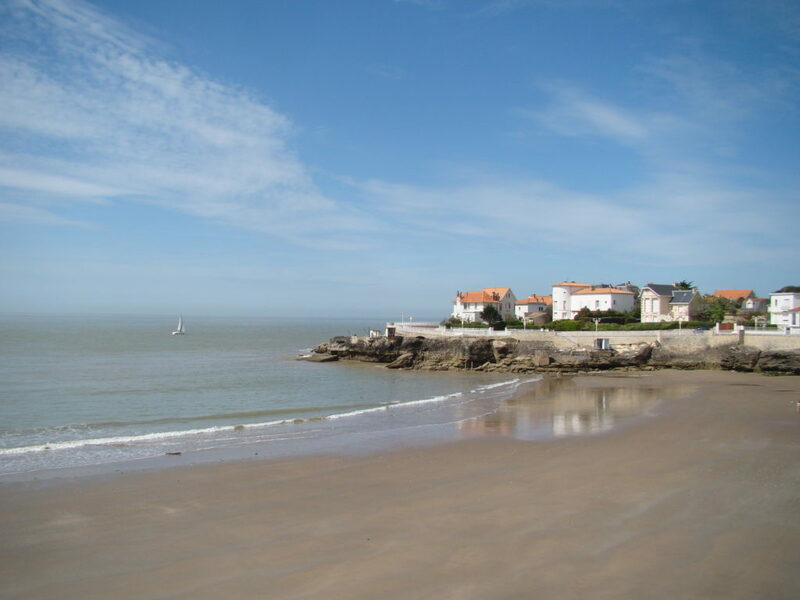 Its fine sands are home to the Royan Casino, and it’s become a very popular spot among surfers. We admire their acrobatic efforts in the waves from the terrace of a brasserie. 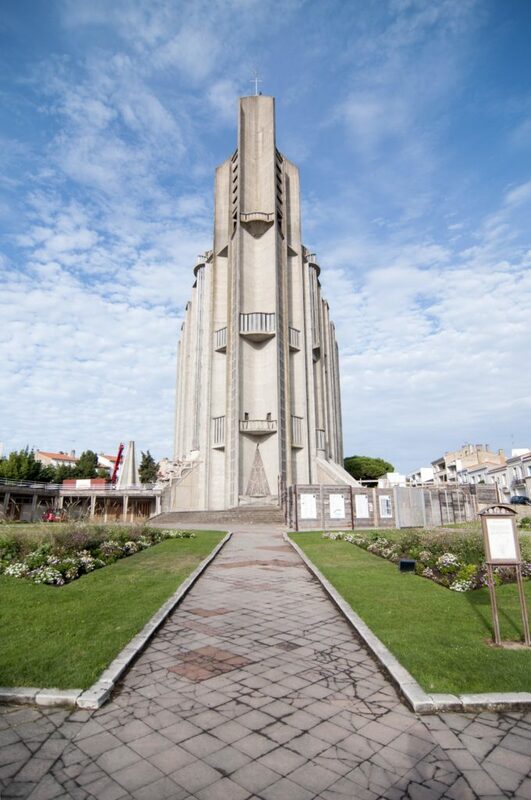 We stroll back down the Avenue de Paris and stop at the Royan Museum. Between February and October, Tous à la Plage (Everyone to the Beach), an exhibition curated by the Cité de l’Architecture et du Patrimoine de Paris (City of Architecture and Heritage in Paris), provides the theme for several cultural events and shows outside the Museum. We continue our stroll and head back up to the Boulevard de la Falaise, where we marvel at both the sea view and the sumptuous, elegant houses. An obligatory Instagram session immortalises the gorgeous villas that look out over the different inlets (including Pontaillac, Gilet and Saint-Sordelin). La Conche is a beach with fine sand, typical of the Charente coast, slotted in between two cliffs. 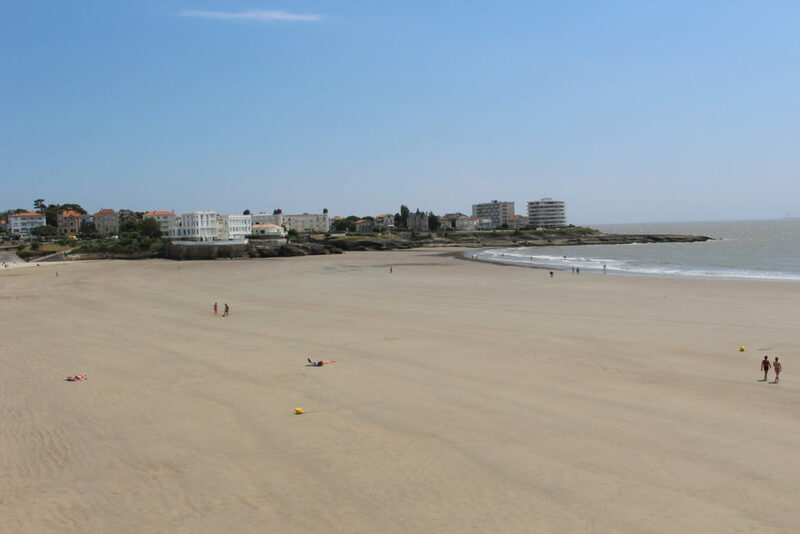 We take a morning stroll along Boulevard Frédéric Garnier, which runs the length of the beach from the Royan seafront to Saint-Georges-de-Didonne, observing how the remnants of different eras mingle. Just behind, Avenue du Parc, Allée des Lilas, Allée des Tamaris and Allée des Jasmins are home to a few talking points, such as Japanese-inspired Villa Kosiki. We savour the evocative names of the belle-époque houses – Saint-Cloud, Yvonne and L’Espérance – that neighbour the immaculate, colourful villas dating from a glamourous era. Continuing to Allée Georges, we admire the boldness of Pierre Marmouget and his villa, known as “Boomerang”. Royan’s best restaurants offer menus that combine flavour, authenticity and conviviality. We let our taste buds be our guide, before heading to one of the town’s most emblematic monuments, Notre Dame Church. 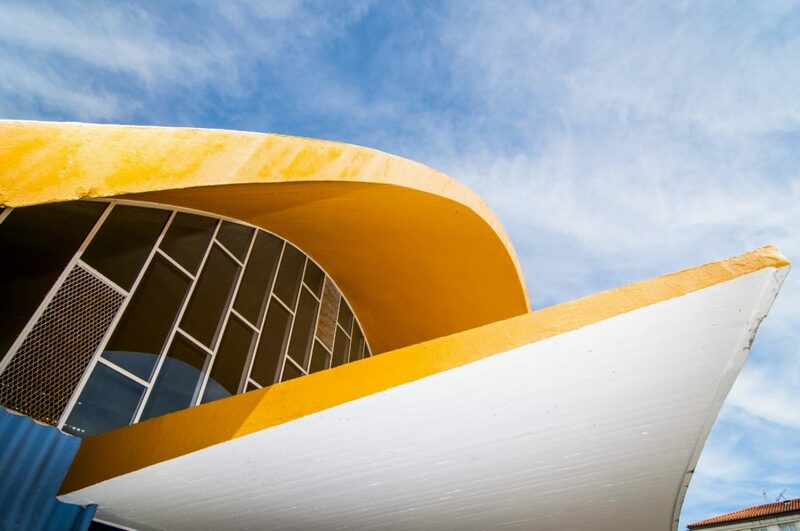 2018 will see the 60th anniversary of the opening of this raw concrete monument designed by architects Guillaume Gillet and Marc Hébrard, which is now officially designated “20th Century Heritage”. It dominates the town and the ocean with its austere architecture adorned with magnificent stained-glass windows. On this sunny afternoon, we’re tempted to take relaxing break and a dip. 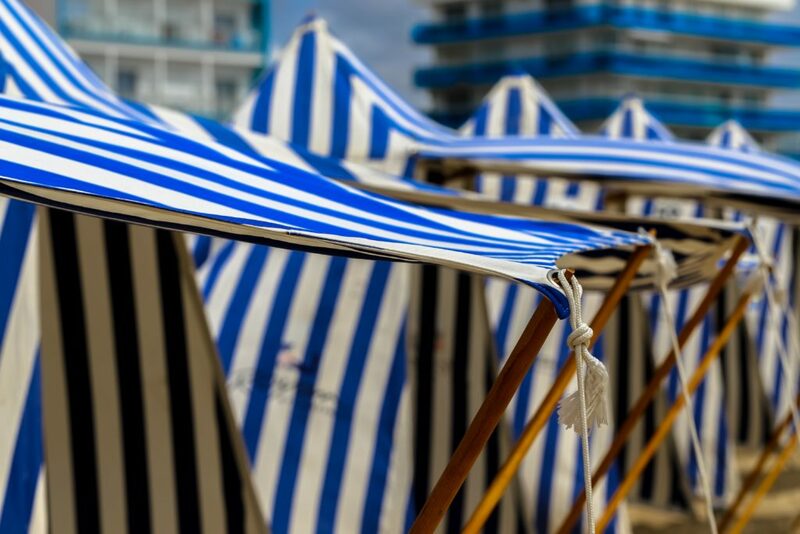 We’re captivated by Grande Conche, an urban beach whose striped tents (descendants of the original 19th-century huts) imbue the scene with a nostalgic charm. And why not treat ourselves to an evening cruise to take in the illuminated coastline and glittering lighthouses? We set a date to come back. In July, the Un Violon sur le Sable (A Violin on the Sand) festival offers emotional moments of magic on Grande Conche beach, with classical music, great operatic voices, symphony orchestras and dance, all on the sand under a starry sky.